Windows Virtual PC (successor to Microsoft Virtual PC 2007, Microsoft Virtual PC 2004, and Connectix Virtual PC) is the latest Microsoft virtualization technology. 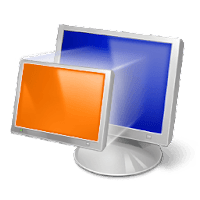 You can use it to run more than one operating system at the same time on one computer and to run many productivity applications on a virtual Windows environment, with a single click, directly from a computer running Windows 7. Note: Windows XP Mode (XPM) is a virtual machine package for Windows Virtual PC containing a pre-installed, licensed copy of Windows XP Professional with Service Pack 3 as its guest OS. Disclaimer: Direct downloads for the lastest version of Windows Virtual PC 6.1.7600.16393 are provided by the official software's author, we can't guarantee safety, availability or download speed. Moreover, we don't and we won't provide any pirated/illegal versions or tools. We recommend you to avoid it as these methods can harm your device. If you like the software, buy it to support the developers. (We provide software discounts for many worldwide brands).